Arts and crafts activities are a great way to keep the elderly entertained and stimulated. Creative time spent with a well-designed art project such as a card making kit can relieve boredom and keep care home residents happily occupied, while also giving them a satisfying sense of achievement and accomplishment. Hand and eye coordination is improved, and working in a group provides opportunities to socialise and interact with others. Standard arts and crafts supplies are not always suitable for the elderly, who may have physical or mental limitations, and Care Shop specialises in arts and crafts materials specifically designed to be easily used by the elderly. For some people, craft activities have been a part of their life for many years, while others may have only started to take an interest as they get older or since retirement. Arts and crafts activities should ideally cater to both the beginner and the expert. 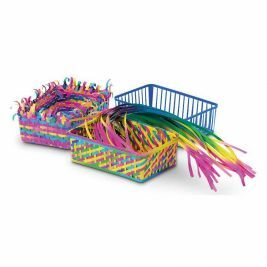 Card making and basket weaving decorating can give a satisfying result to those with low levels of dexterity and skill, and also give the opportunity for those with more experience and ability to produce more detailed items. The arts and crafts kits that Care Shop provide have pre-cut cards and frames, with a varied selection of easily-handled decorations and paints, to enable those with any level of ability to relax and enjoy the pleasure of creative activities. Arts & Crafts There is 1 product.